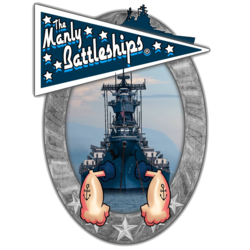 The Manly Battleships® are a group of fun-loving guys and gals that have formed the greatest programming group on the east coast convention circuit. Veteran panelists combine their powers with a circle of long time con-goers, otaku, and deviants to form the new titan at the front of the con scene. The Fleet's arsenal offers a lot of a lot, and a little of everything! From the "stay fun" academic to over-the-top panels; high quality times are to be had under the Fleet's banner. No matter your pleasure, there's a Manly Battleships event that's right for you!